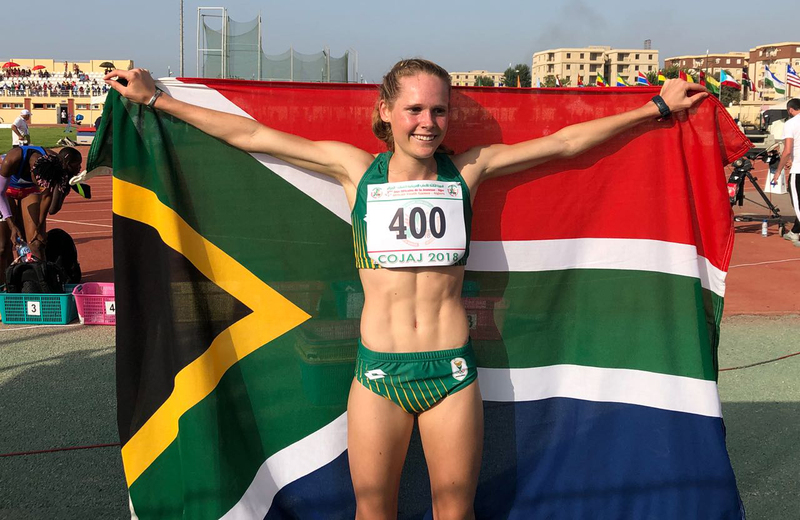 Durban - The South African athletics fraternity has taken notice of young KZN schoolgirl Amy Naude following her impressive 400m silver medal at the recent African Youth Games in Algeria and the youngster enjoyed the small taste of international competition that the event gave her. The Elite Athlete Development Programme star might be a relatively new name in running circles, however with the support of the team at the Prime Human Performance Institute she hopes to continue her impressive rise. "The African Youth Games was the highest ranking event that I have ever taken part in," the 16 year-old from Ballito said. "I didn't run my personal best on the day but I am happy with how things are going for me." The team at Prime, which includes South African Olympic Team doctor Dr Kevin Subban, have worked hard with Naude getting her physically ready for competition and making sure that she is in the best shape she can be when competing. “Gavin Muir has been helping me a lot with my rehabilitation and Calvin Shipley has been working with me from a physiotherapy point of view. Dr Subban has been involved with my check-ups," the Ashton International College student added. Naude is beginning to come into her own and this silver medal could be the start of a blossoming career; however her passion and enthusiasm for the athletics developed much earlier on in her life. "I have always loved running and remember running in races from pre-school. "When I was 14 years old I started running on the track and have been competing ever since then. Under the guidance of coach Victor Vaz, Naude will be eyeing more races against strong opposition. Getting to the Youth Olympic Games in Argentina later this year will be a good opportunity for her to test herself against the best in the world in her age division. "I am still waiting for the final South African team to be announced for the Youth Olympics but we are holding thumbs that I am going to be included in the team!" With a taste of international competition under her belt Naude isn't looking too far into the future but is setting out specific goals for the next couple of years. "We have thought about pushing for qualification for the 2020 Olympic Games just as an event to gain experience. "In the more immediate future I would like to get myself over to Europe and race on their circuit," an ambitious Naude added.